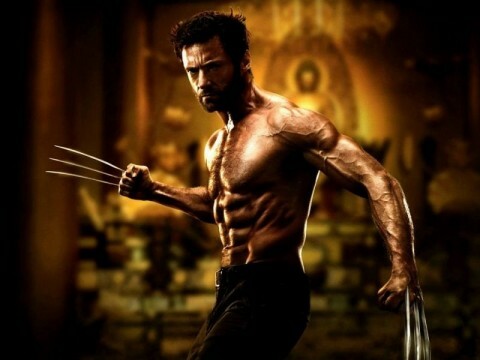 Two months have passed since the first set of trailers for The Wolverine landed. Those initial glimpses at Wolvie battling his way to mortality were followed up in April with an extended battle reel from Comic-Con. In preparation for a theatrical release this summer, the next trailer has been posted online. Clocking in at 2:30, we’ve got a gamut of footage previously unseen right from the start! The trailer opens with Famke Janssen as Wolvie’s paramour, Jean Grey whose presence fuels a terrible nightmare for our hero. Mixed in with fast-paced action footage seen in the Comic Con reel is a snowy battle scene, a longer look at the train fight sequence and The Silver Samurai as he makes Wolverine look like a Hobbit. Check it out for yourself below. Director James Mangold is living it UP as he takes control of Wolverine’s story in this newest preview. Mangold’s early work lay heavy on drama and slow character development, as witnessed in Girl, Interrupted, Copland and Walk The Line. Since 2007’s 3:10 To Yuma action has become a weightier component. Adapted from the limited series The Wolverine by Chris Claremont and Frank Miller, the story follows the titanium-clawed mutant after his stint in X-Men: The Last Stand. Traveling to Japan, our hero confronts someone from his past in a bid to overcome his own immortality. Scripted by Christopher McQuarrie, Scott Frank and Mark Bomback the film lifts its story arc from the grail of Wolvie lore. The four part comic run served as the basis for the beginning of the Wolverine canon. Claremont also wrote the X-Men series Days Of Future Past. That flick is under the direction of original X-Men helmer Bryan Singer. Currently filming as a dual prequel/sequel to X-Men: The Last Stand, there are rumours running rampant of a special crossover cameo. We shall see if they transpire later this Summer. The Wolverine will be released internationally on July 24th and in the U.S. on July 26th.